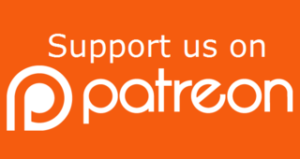 It’s been an amazing journey starting from just playing games on YouTube, to becoming involved in various retro communities, to creating new and original content that extends way beyond gaming, but at it’s core, is all about the passion we all have for this thing we call retro. As more projects and productions take place, we’ll list them here. Cosmic Aliens is a home brew game I wrote in 1988 for the PC/DOS era machines, and has been lost in the sands of time. I recently found a copy of the original game on the internet, and without any of the original source code I’ve decided to rewrite the game on a variety of retro and modern systems starting with the Tandy Color Computer. This site will track the progress of the various projects and ports. The Retro Swag shop at 8bit256.com features custom, hand-drawn pixel art retro images created by Instagram artist Joel M. Adams. 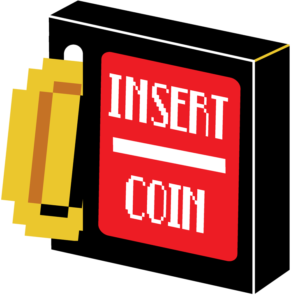 These are one-of-a-kind original images dedicated to the retro in all of us, and you can get these on custom T-Shirts, mugs, mice pads, and more, along with some DVD’s of Steve’s game play videos. The proceeds from the merchandise sales go into the production and hosting costs of our various projects as well as compensate the artist. Show your retro pride and support by rocking some Retro Swag today. CoCoTALK! started as a spontaneous live stream in April of 2017 where a handful of us “coco nuts” got together to talk about our excitement over the upcoming CoCoFEST! which happened to be the 26th annual that year. We got together and talked about the CoCo and what we hoped to experience at the fest. This continued for a few weeks leading up to the fest, and to our surprise, has been running weekly for a year now! 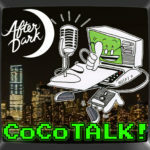 It started as a live talk show in video format on YouTube, eventually also became an audio podcast, and recently, CoCoTALK! after DARK! has sprung up as our after-hours fast and lose version of the show. CoCoTALK! streams live each week on the I’m a CoCo Nut YouTube channel, and the After Dark show streams on the Facebook page.